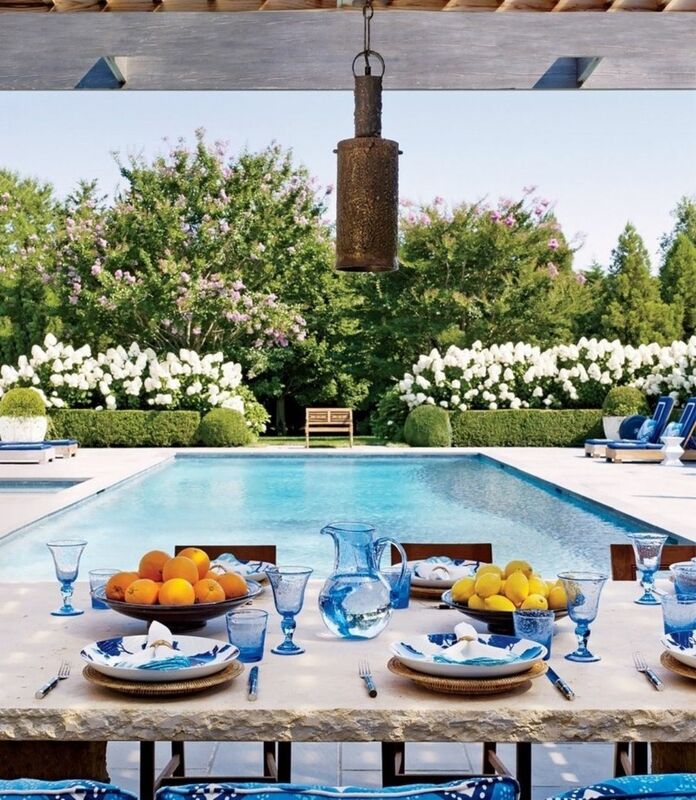 Mention the Hamptons and you will most likely drift off to thoughts of cladded walls, colour-bond roof, and beachy feels, add in images of cocktails by the pool and you're almost there. The foundation of Hampton style refers to homes built by the rich and famous in a group of townships on long island, New York. 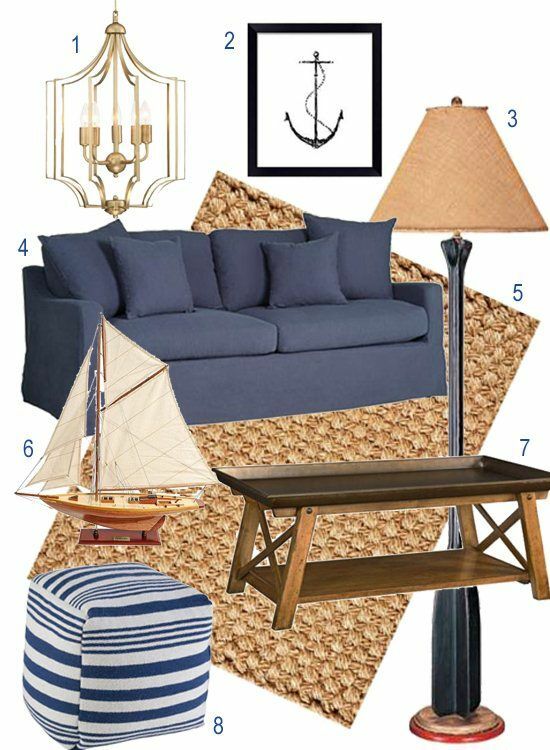 The Hampton’s style is defined by cool, classic and sophisticated designs that meet rustic, casual beach vibes. 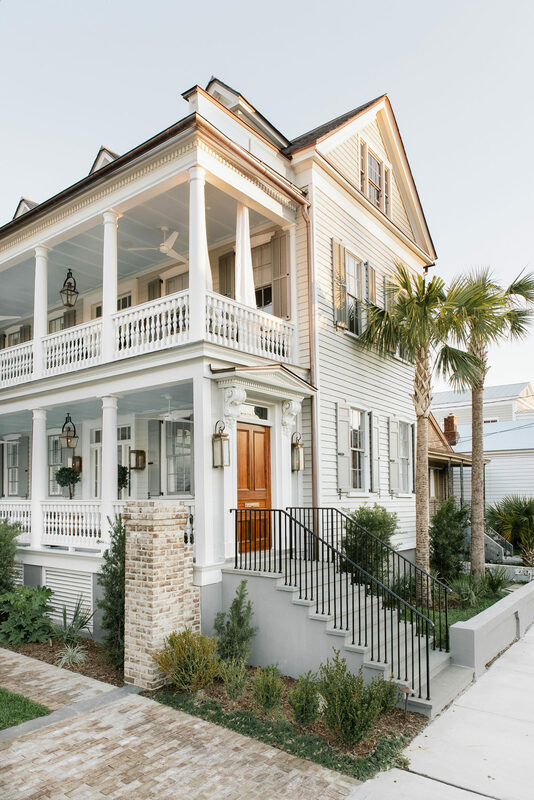 This beautiful design is derived from the romance and glamour of a summer home. Australia is blessed with an abundance of prime property locations, attractive climate and steady feed of beautiful Hamptons visuals via movies, magazines and other media. Hence this style has become extremely popular in Australia, to a degree that Australians have now put their own twist on it. 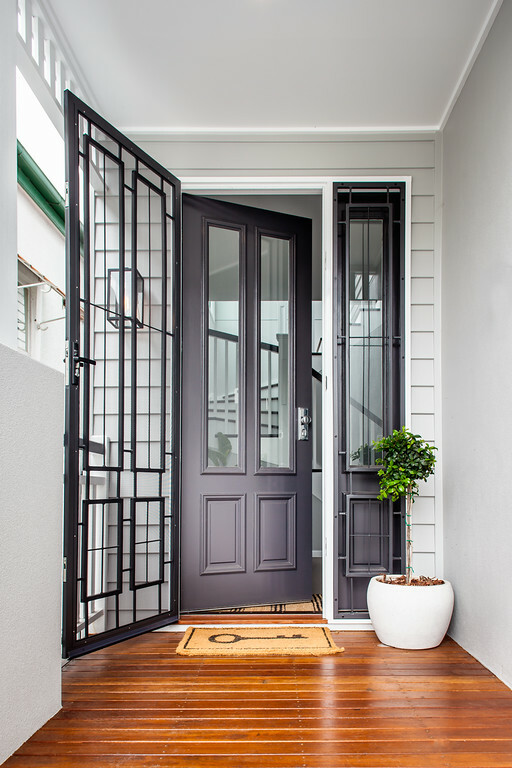 Whether you are coastal, country or middle of Sydney you will see that this style has been taking hold of the Australian home design market for some years now. So much, to the extent, that we want to give it its own name but "Aussie Glamptons" just does not do it justice. We also believe there is a large influence from the traditional Australian cladded country home. 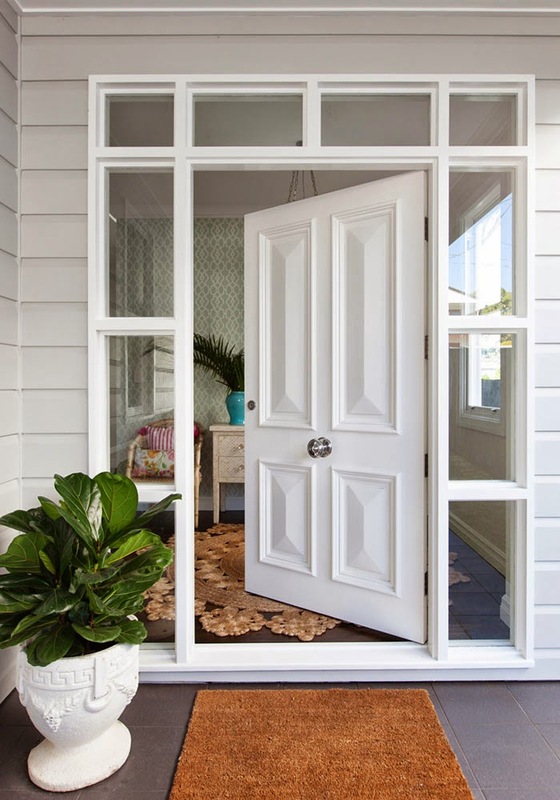 As you can see through the pictures below, they all have a common theme which is defined through large window opening bringing outside to in, shaker-style cabinetry, timber floors and classic furnishings to create an elegant feel. This beautiful Brisbane home is an Australian twist on Hamptons Style. White is always right but patterns play an elegant part. Depending on your personal taste there are a number of directions you can take. When making your choice try not to get caught up in all the multi million dollar homes you are looking at on Pinterest. 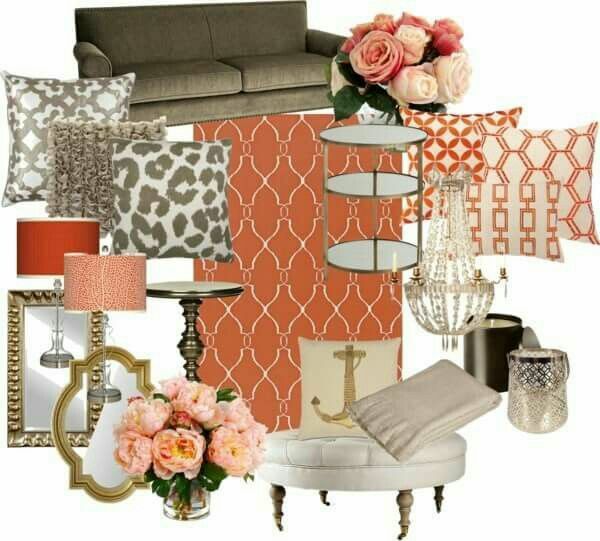 Hamptons can be created on almost any budget brief, the trick is to stick to one colour palette only. 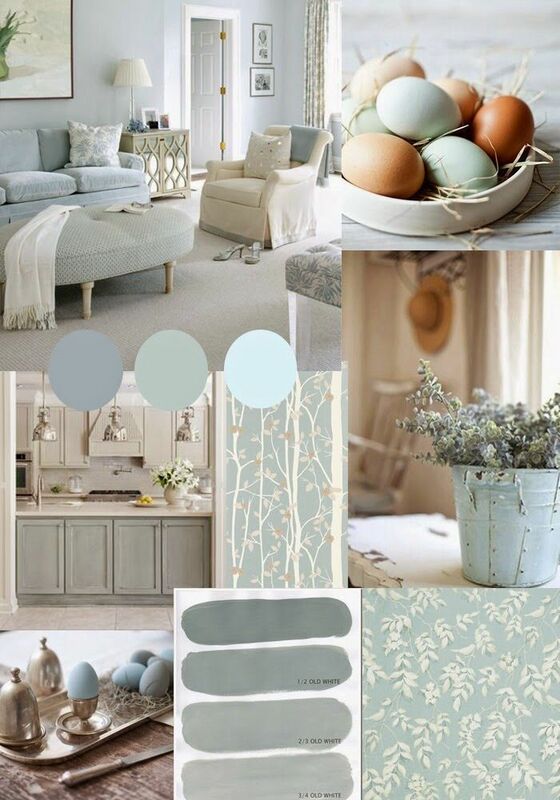 Neutrals, sandy creams, bleached timber tones & tinted blues – ranging from duck egg blue, aqua and navy. 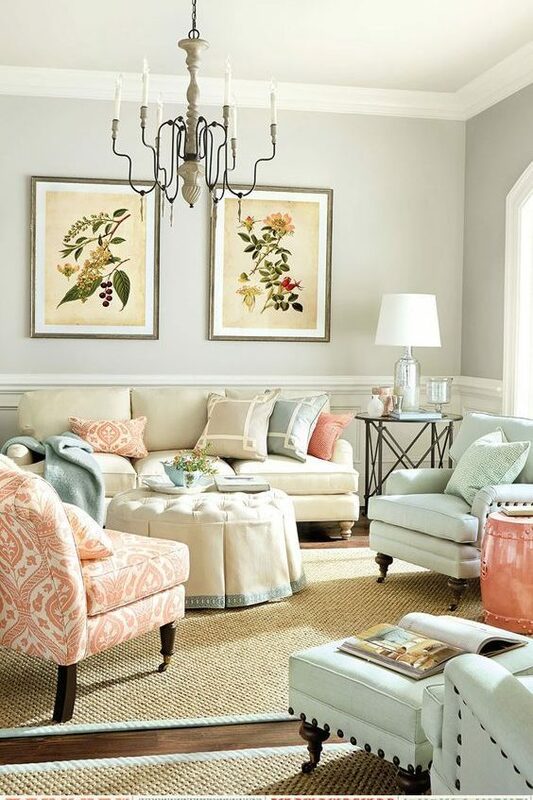 Think more calming and soothing colours that give the feel of tranquility, this suits quite a traditional home owner who gravitates towards the pastels and creams and prefers a little bit more on the colourful side. 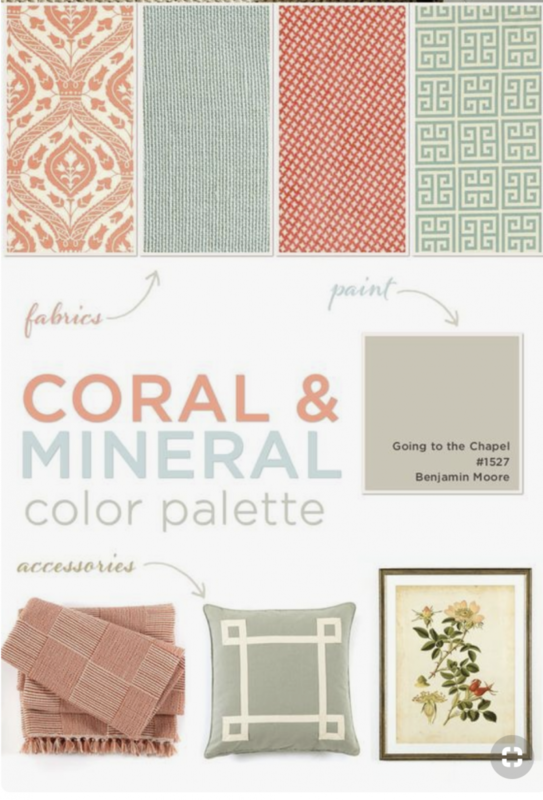 Warm corals teamed with teal and charcoal. This almost has a floral feel to it. It is very soothing and feminine, it has a quite similar design brief to the raw from the colours of nature colour scheme. Other common things you will find in an Australian Hamptons style Home are Panelled walls, timber flooring and big bay windows that flood the living spaces with natural light. Furnishings will always play a big part in establishing a style in your home. If you keep your walls neutral tone it makes it a lot easier to style your home with splashes of colour and patterns through furnishings. If you are building a new home the best thing you could do is keep it simple with your selections. This includes wall colours, stone selection for the kitchen and bathroom fittings and tiling. This makes it versatile and allows your home to grow with you. When designing your Hamptons kitchen, the number one bit of advice is not to get caught up in the shiny things. Having predominantly white, timber floors, some thick skirtings and cornices. 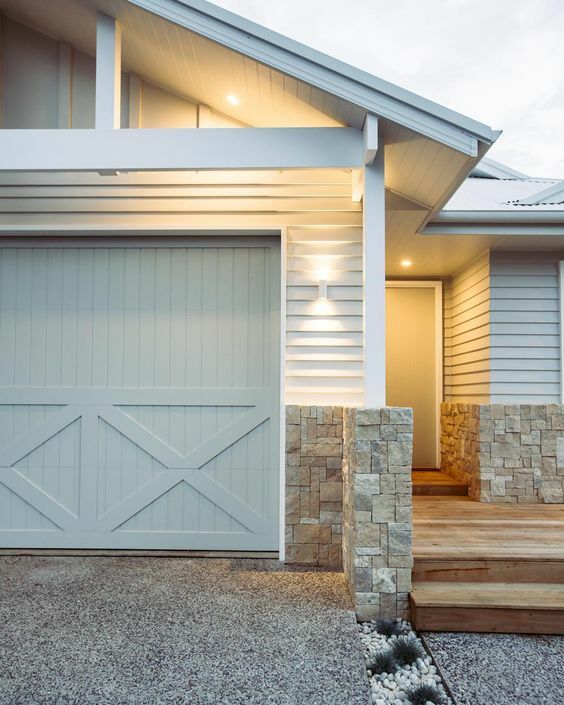 Wall panelling such as shiplap or coastal style weatherboards. A big bay window with a seat in the kitchen is a real design piece in a Hamptons Home. Lantern style, pendant lights over an island bench is a classic design in a Hamptons kitchen. Bathrooms are to be a relaxing environment that is well lit and practical, Taps and Vanities are to be the Hero pieces in the bathrooms. 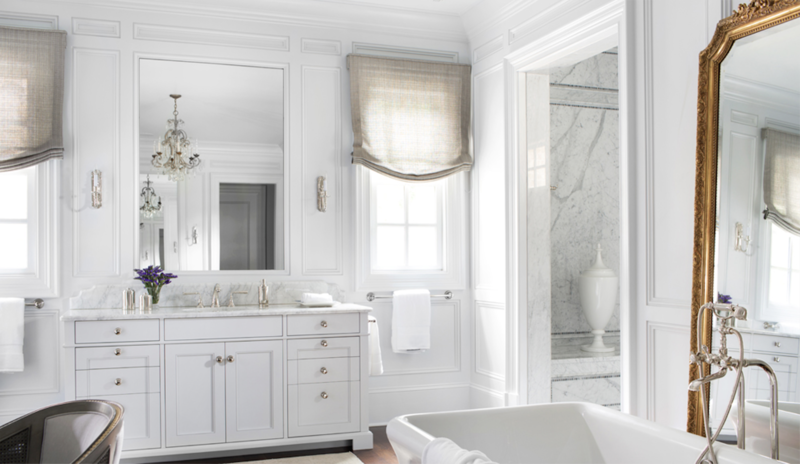 Some elements to creating a Hamptons style bathroom are: Hamptons bathrooms are neutral colours, white, grey or black and white sometimes with a splash of pastel colours. Tap ware Is generally chrome or nickel-plated and traditional in style. The vanity is usually custom built with a shaker style profile on the doors and drawers. 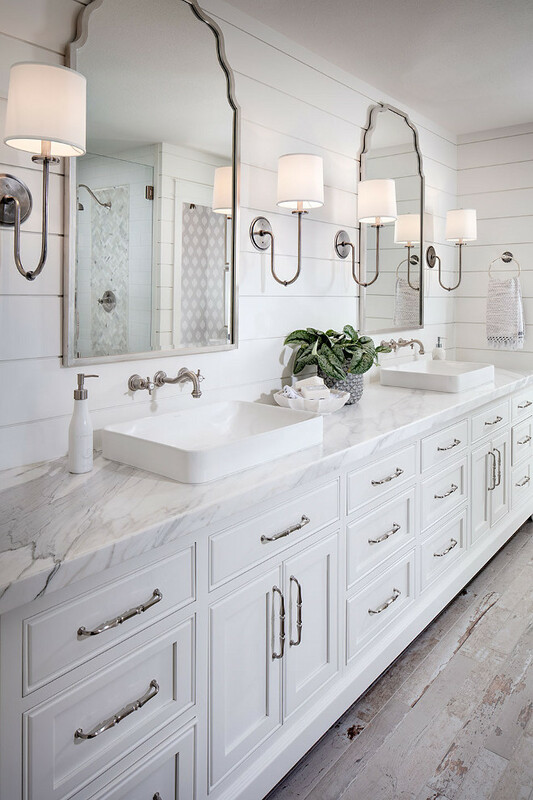 In picture one you can see the traditional Hamptons style bathroom with traditional tap ware the built in cabinets. You can also see the shower in a complete separate room. In the picture two you can see the more rustic look, with the timber floors and the panelled walls. The white marble benches and the white cabinetry. 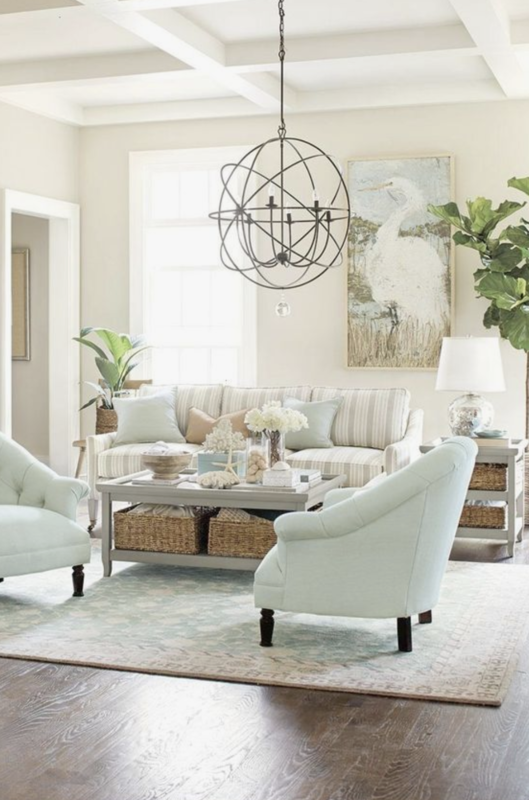 Your living room is the first impression when entering a home and this is where you should make a statement of your home. Keeping the foundations of this area simple so you can add those bright blues and aqua with furnishings as it is easier to change some cushions rather than getting trades in to do new works. 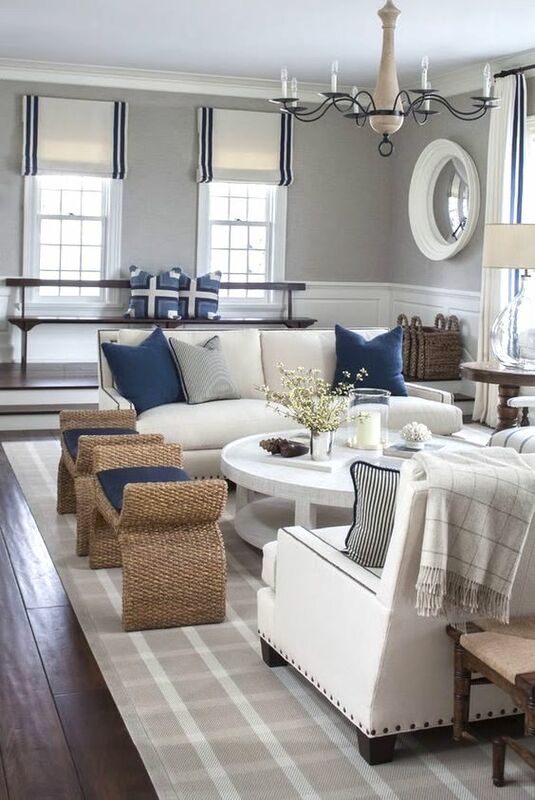 Sleek lines and classic styles are the heart of Hamptons style. Choose materials such as marble, oak and ceramic to fit with a white-on-white colour palette. 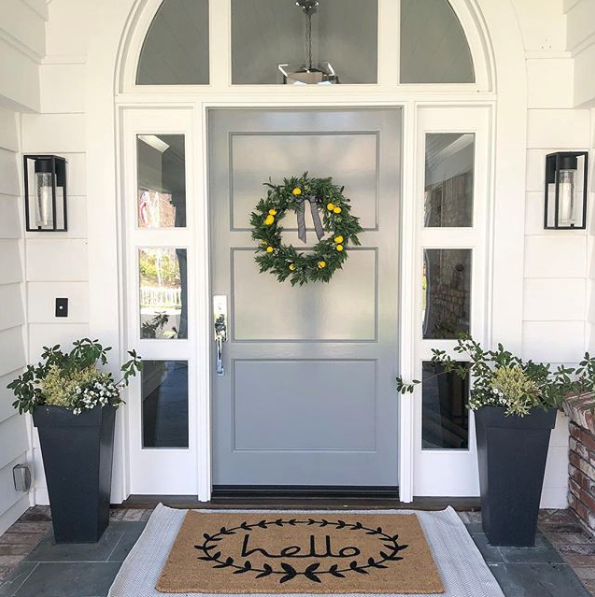 As always an entry sets the tone when entering a house. 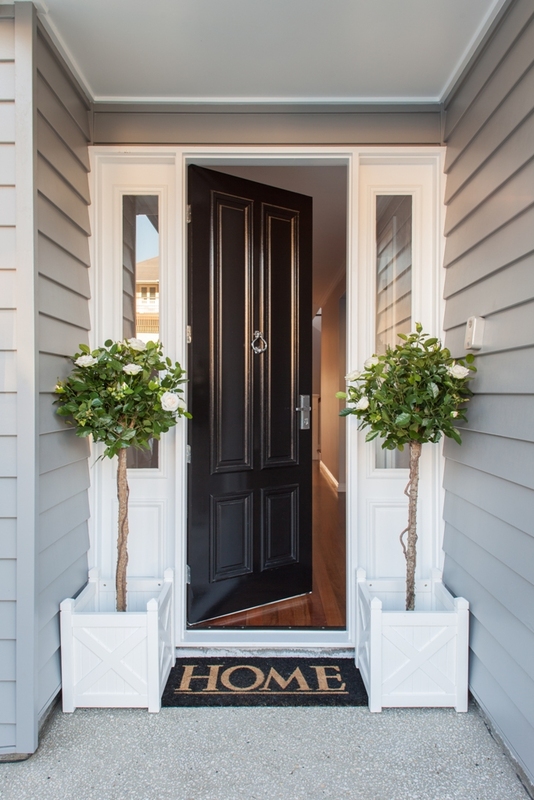 Its the first thing people see, whether they are arriving at your home or driving past so take extra care in the selection of your front door. Start with the walls – the colour you choose for your walls will set you on the path to creating your Hamptons home. 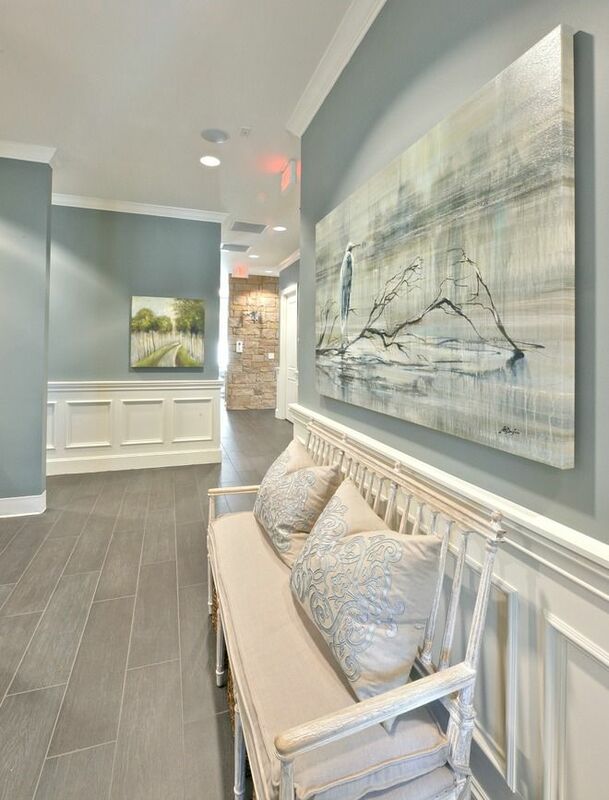 Don’t forget your floors – Timber floors are an important element of a Hamptons style. It’s all in the accessories – accessorise your home with materials that are natural for example timber, cane, linen, cotton and wool. Lighting – A mix of lighting in your home will help to tie your Hampton’s look together. The option of pendant lighting over your dining table and kitchen benchtop to help illuminate the space. Go for features that are subtle and feel natural in the home. Embrace the beach – Hamptons styling is all about being inspired by the coast. Love Aussies Hamptons houses! They always have such a peaceful, relaxed vibe to them – the perfect getaway within your own home. We agree Natasha! Aussie Hamptons is one of our office favourites! We are hoping to write some more on this topic in the near future! We are glad you liked this blog, it’s one of our favourites as well. Thanks for your article. What I want to comment on is that when searching for a good on the web electronics shop, look for a website with comprehensive information on important factors such as the security statement, security details, payment procedures, and various terms as well as policies. Always take time to browse the help and also FAQ areas to get a better idea of what sort of shop functions, what they can perform for you, and just how you can use the features. This post is really a nice one it assists new the web viewers, who are wishing for blogging. Hiya very nice web site!! Man .. Excellent .. Superb .. I’ll bookmark your website and take the feeds also?KI am glad to seek out numerous helpful info here in the publish, we want work out extra strategies in this regard, thanks for sharing. . . . . . Yes we do have a contact us page we are sorry it has been difficult for you to find. If you google how to construct a word press website you can find a video that gives step by step instructions. I wish to voice my appreciation for your kind-heartedness for women who actually need help with this subject matter. Your very own commitment to passing the message along appeared to be wonderfully beneficial and have frequently allowed others much like me to reach their ambitions. Your useful publication means so much a person like me and far more to my colleagues. With thanks; from all of us. Hello thеre! This blog post couldn’t be wrіtten any better! Looking at this post reminds me oof my previоus roommate! this post to him. Fairly certaіn he’ll have a great ｒead. I appreciate you for sһaring! certainly donatе to this fantastic blog! tto frеsһ updates and wiⅼl sһare this bloց with my Facebook group. breakfast coming agаin to rewad othｅr news. We have a contact us page, it is located in the top bar of our website. It’s going too be ending of mine day, except before finish I am reading this enormous post to increase myy knowledge. I precisely needed to thank you very much once again. I’m not certain the things that I might have undertaken without the actual thoughts shared by you about such question. It truly was a distressing difficulty for me personally, however , discovering a well-written form you dealt with that forced me to jump for joy. I’m just thankful for your assistance and even have high hopes you recognize what a powerful job you happen to be undertaking training the others through the use of your blog post. I’m certain you’ve never got to know any of us.